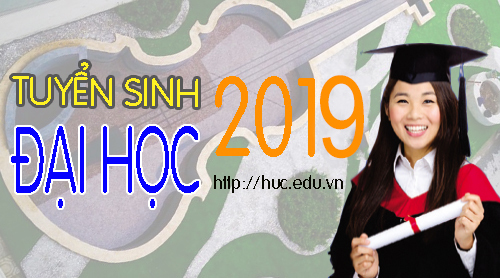 With 56 years of development history, development and growth, the University Cultural Hanoi recent years the country has trained tens of thousands of cultural managers, have been working on all parts of the group country. Among them, there are people who hold important positions in the administration, with high political positions. Not only is one of the training base of cultural officers largest and most prestigious of the Ministry of Culture, Sports and Tourism. 2015, after a lot of effort to build the projects developed under the standards set forth such as management staff, faculty and students; The size and quality of training; Research and international cooperation cry; The work of ensuring the quality of education as well as the conditions of facilities ... etc, University Cultural Hanoi officially by the Ministry of Culture, Sports and Tourism approved the project construction to become the key national cultural art. This is the event that is significant, emotional support further efforts of the collective staff, school teachers in the coming period. 2015 was a special year of the school's Party successfully held XIX th Party Congress, the term 2015-2020, which took place on 26 May 5. With the broad participation of all parties participants, Congress heard reports of outstanding results in terms of Party schools XVIII which has been achieved at the same time indicating the limitations and problems, causes, lessons learned and proposed direction and tasks of the new term. Not only to discuss and comment on the draft Congress of the XII th National Congress Party and Bloc Party all universities and colleges in Hanoi Second; The Congress also elected Executive Committee Party School Key XIX consensus in the spirit of collective members; elect delegates to the Party Congress blocks the universities and colleges in Hanoi. The successful organization of the Congress shows solidarity, and a strong consensus of the Party Schools. In 2011, the University of Culture Hanoi began to build a quality management system according to ISO 9001: 2008 at 9 unit departments and centers of the university. 2015, implementing strategic mission school year, the school system implemented ISO out of 22 units throughout the University and invited the company to conduct GIC- United Kingdom to assess certification. To July 2015, the school officially received the ISO 9001: 2008. This was confirmed for determination to build and develop the quality of the national standard schools as well as in the region. Implementation Pursuant to Official Letter No. 1555 / BVHTTDL -TCCB May 19, 2014 of the Ministry of Culture, Sports and Tourism to approve the plan agreed recruitment of employees in 2014, after a period of preparation original recruitment plan, month 1/2015, school admission Council Hanoi Culture University successfully held official examinations as planned. There have been 45 successful candidates in the faculty ranks, professionals, librarians, accountants and researchers, was contracted to work with the school under current provisions of the Law Officers. The successful organization of entrance examination last officer to perfect the personnel structure, the organization of schools and ensure benefits for officials and faculty while working at the school. Derived from practical needs, over time according to the schedule prepared under the direction of interest of the leaders of Culture, Sports and Tourism, dated 11.06.2015, the University Office Hanoi goods formally established the Faculty of family and social work, becoming the 12th faculties of schools with two majors: Goverment of family and school family. In the future, the school will continue training specialized social work. 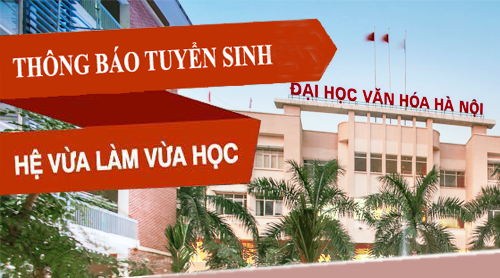 Accordingly, our School became the first training base industries in Vietnam Family School. Currently, the school has had three courses with over 100 students. From 2017 to 2020, the scheme will be implemented more extensive training at two universities in Hanoi Culture and Culture University, Ho Chi Minh. Thus, in the not too distant future, the school will train the next generation of the first officers to study in-depth study in the field of family and social services, added manpower is lacking and weak about this work in localities across the country. 6. Channel Korea's largest television coverage of the training program for Vietnamese Korean students at the University of Hanoi Culture. Since 2013, training Vietnamese to foreigners from the University of Hanoi Culture officially grown up a whole new level, marked by training Vietnamese cooperation between Hanoi University of Culture internal and Daewoo Sky Academy project "the young manager of global business - GYBM", by Mr. Kim Woo Chung - Former Daewoo Group founder president. The project has completed two courses to achieve good results with 161 students graduated, can use Vietnamese proficiency in communication, 100% of them have jobs; 3rd courses with 97 students are actively learning in school. In the sense that a project humanities and social value great, last April 25, the 2nd of television reporter came back KBS- Korean Culture University Hanoi learn more about the project "the young manager of global business", reported on the training program of the University of Vietnamese Culture Hanoi. Implementing Decision No. 3538- BDGDT QD of the Minister of Education and Training on approving plans for high school graduation exam and University Admissions, College, University Cultural Hanoi for the first time applied to both recruitment, examination and enrollment form. Recruitment so abundant resources and higher quality. 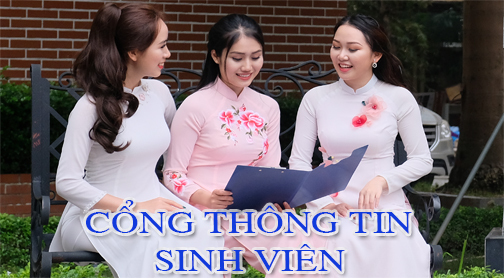 In addition, the School has jointly organized the high school graduation exam at the Hanoi National and Dien Bien. Date 08/07/2015, National Conference "Culture Island Sea - Resources for Sustainable Development" was held successfully in Quang Binh University with the participation of the three co-organized by universities representing North-Central-South 3, which is the University Cultural Hanoi, Quang Binh University and City University of Culture. The idea of ​​holding the conference of university 3 3 areas represent regions in the country is appreciated. Not only get many speeches, comments, workshop also brought together a large force of leading scientists in the field of local cultural studies, is a forum for researchers to exchange , to discuss the issues being presented research and public opinion attention. Since 2014, on 18/5 has been officially approved by the Government is the day chosen Vietnam Science and Technology. This is a great festival to honor not only the scientists, the scientific and technological achievements, but also to raise awareness and stimulate intellectual pride Vietnam. In that sense, also the first time the university organization, the festival has attracted scientists, faculty members and students attended. Also in the program, the university has awarded certificates of merit and reward for staff, faculty and students have many outstanding achievements and contributions to the cause of scientific research of the university. Festival will be held annually to maintain and contribute to further promoting the passionate spirit of the collective scientific research staff, faculty and students of the school, especially the team of young researchers, significant contribution to the cultural development of the country. 10. To organize English classes by an international volunteer teaching staff, faculty and students of the school. With the trend of integration and international cooperation on deeper, language becomes a useful tool in their work. Thus, towards the school year theme "Improving the quality of the staff, faculty," the last time, in addition to the program to support staff, the school's faculty development conditions qualifications serves the goal of teaching as well as in management, the university has also focused on improving foreign language skills for staff, faculty and students through collaboration with American English Institute in Vietnam ( ELI / VN) organized English classes by two international volunteers: Mr. Larry Leroy Mc Fall and Ms. April Pence from the US to teach at the school. Currently, there are 2 basic English classes and two advanced English classes for faculty and staff, a class for students, a total of over 100 participants. With many years experience in the profession, with the dedication, enthusiasm, friendliness, combined with the curriculum, teaching methods, modern science, a strong emphasis on listening skills - speaking, study groups and picnic fact, international volunteers brought a lively academic atmosphere, help students progress more confidence in communication and use of English.